What Lesson Did You Learn This Year About Keeping Your Car Alive? With the year coming to a close, it's a good time to think back and ask yourself, how the hell is my old hooptie still on the road? I know a thing or two about keeping a car alive, since I pretty much killed my own car and brought it back to life. I think the most important lesson I learned this year is that when it comes to car maintenance, the easy way is usually the wrong way. 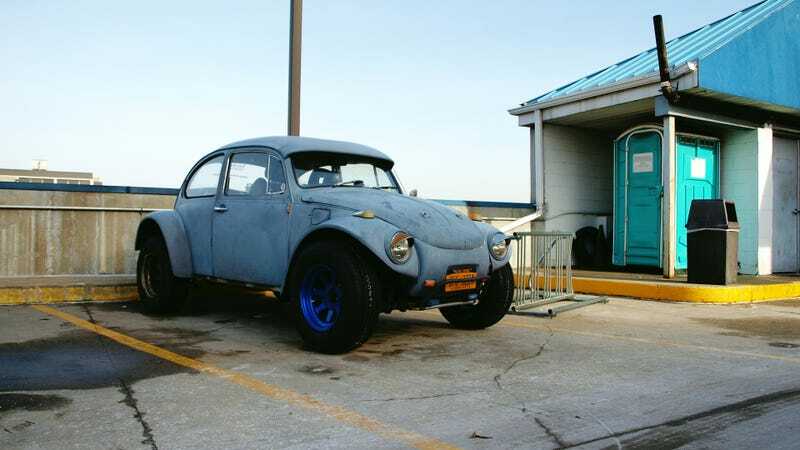 For instance, my right front tire kept going flat on my Baja Bug. At first I just assumed it was a leak in the tire, so I got a new one. That one kept going flat. So then I did the right thing and took my car to a tire shop, they checked for leaks and found out that the wheel itself was cracked. If I had done my due diligence in figuring out the problem properly, I'd have saved myself $90 in a needless tire. Well, I hadn't quite learned my lesson. Figuring that I could just fix the cracked wheel, I took it to the neighborhood of chop shops out in the shadow of Mets stadium and got the wheel welded for $80. Their weld was so bad that the leak actually got worse. That's when I did what I should have done months ago and bought a new set of wheels. That fixed the problem once and for all. Well, not quite. I didn't quite learn my lesson, since the wheels I bought were the cheapest I could find. $50 for a set of four. They're the same style as my old ones, but they're a different color, and they're wider. Specifically, they're inch too wide and now my front tires rub at full lock. So the takeaway is invest up front. Do things right the first time, even if it seems like the hard way, and you'll save money, time, and effort down the line. What lesson did you learn in 2013 that will help keep your car alive all the way through 2014?